← સાલું “આઈ લવ યુ” કહેવાનું જ રહી ગયું? રાખ્યું મહાત્મા ગાંધી બાપુ . ખુબ લડી ને આપી તમને . સાચવજો આપણી આઝાદી બાપુ . This entry was posted in કવિતા, પ્રજ્ઞા દાદભાવાળા and tagged પ્રજ્ઞા દાદભાવાળા, Uncategorized. Bookmark the permalink. 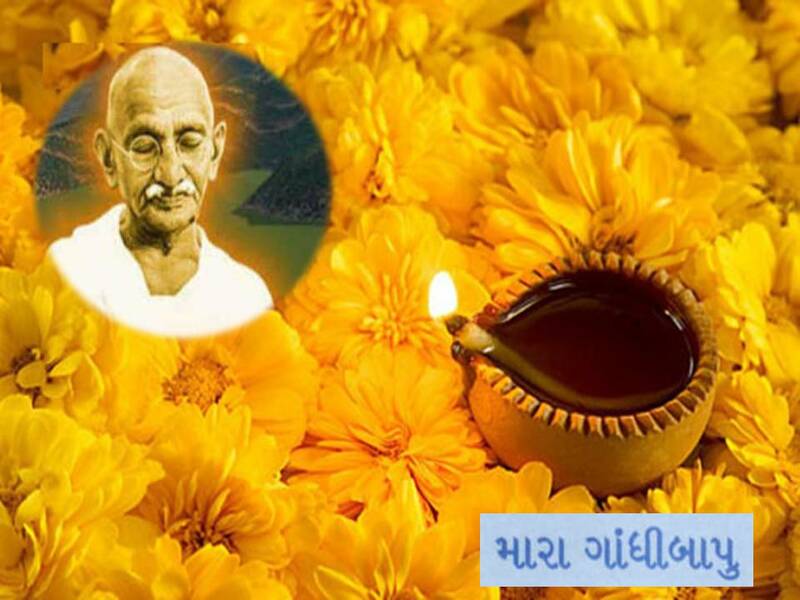 Nice words….GANDHIJI was a MAHAN ATMA…..a SAINTLY Person….yet mixed with the People as an ORDINARY HUMAN …..showed the Path of TRUTH & AHINSA. My Salutations to Mahatma Gandhiji ! Pragnaben..Thanks for your visit/comment on Chandrapukar…Hope to see you again. What nic poem. I think it one of the best poems on Gandhiji. Thanks for creating such a nice poem…….. The greatest achievement of Mahatma Gandhi is the Freedom of INDIA. Ofcourse, we should rember always. yes, good poem.